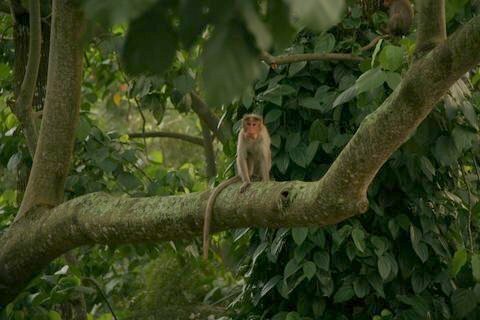 …or wake up in the morning to a monkey outside your hotel window. And M is also for Lucky 7 Meme. 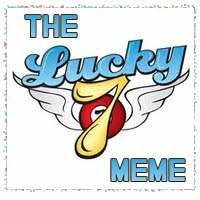 One of my really cool Author/blogger friends, Edith Parzefall, tagged me on her blog and sent me a Lucky 7 Meme Invitation. The rules: ■Go to page 77 of your current MS/WIP ■Go to line 7 ■Copy down the next 7 lines–sentences or paragraphs–and post them as they’re written. No cheating. ■Tag 7 authors ■Let them know. Sagai knelt and picked up a small round stone and rolled it in his hands. Perfect ammunition. Those pesky monkeys, now awake and watchful, were known thieves. Would knocking one of those screeching troublemakers out of a tree be a sin? Before he could ponder further, a young novice approached, smiling, and handed him a package. An entire loaf of bread. Enough to share with all at home. The novice bowed her head, nodded, and walked away. Before Sagai could run, Sister Mercy marched toward him. She eyed the loaf under his arm. Her nostrils flared. Smack. Her palm cracked against his cheek. If you’re still with me cool. Thanks! 1. Our Life in a Caravan A mesmeric blog about living life in a caravan in the UK. 2. Anna Smith, also from the UK at Universal Gibberish blogs about dreams, movies, writing, and all that’s in between. Mighty fine! 3. The Anglers Rest is a blog about the ramblings & obsessions of a fisherman’s wife! ~ a real assortment, with snippets of genealogy, books, cross stitching, scrapbooking, collectables,our travels and photographs,web pages and general ramblings. A Masterpiece! 5.Elaine Smith’s blog: Not Exactly Blogging has a memorable blog about living, learning, and writing. 6. Amanda Saint has a blog worth mentioning. 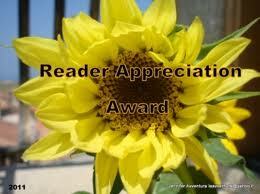 Saintly Writer blogs about reading, writing, food and life. 7. Small World Big Dreams is a Marvelous blog by Alyssia, an Award-winning aspiring romance author who loves Animals, Junior Mints, Harry Potter, Sneaker Pimps, and doing stuff with her fabulous hubby. Tomorrow is a Sunday break..See you on Monday for N.. Never can tell what I’ll think of next. Love seeing all the photos of the different paces you’ve visited/lived/live! Thanks for the mention. I am off to explore those other blogs mentioned – I am still reading people’s blogs furiously…..First coffee and a tea cake to help me on my way! 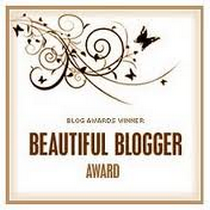 Thanks for the mention of my blog Holly. I will do the Lucky 7 thing but probably not until the A-Z challenge is over. 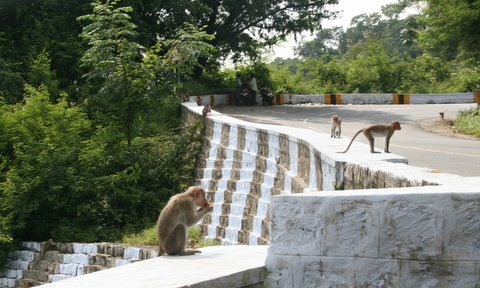 Nice post and nice monkeys! 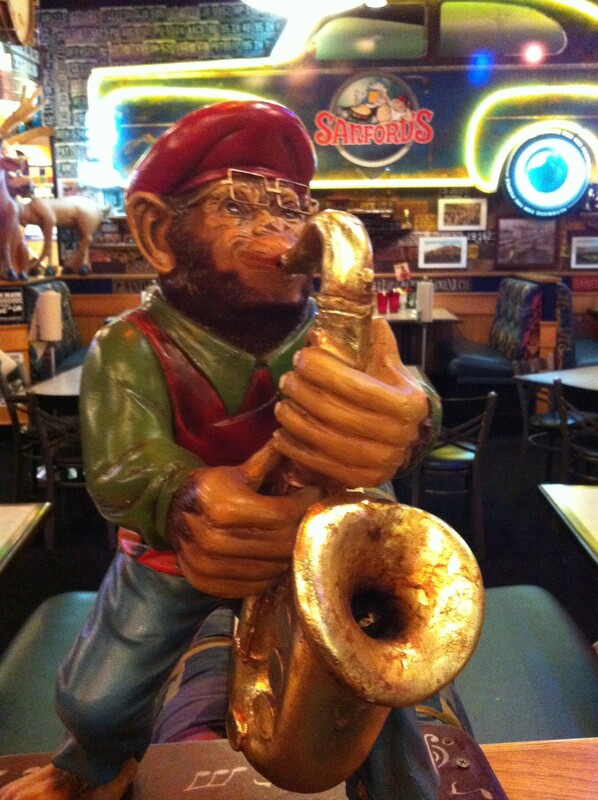 Oh, I would so adore to visit somewhere and just have random monkeys all over. I realize there are probably drawbacks, but oh well. 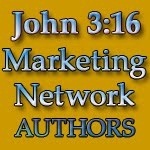 I enjoyed your snippet, and you called out some great blogs! Love the monkey photos! I’m envious. I have a bit of a monkey thing myself (it even merits a tag on my blog), and a writer friend of mine said she suspects it’s my spirit animal, whatever that means. Thanks for sharing the photos. I went crazy, snapping photos of them. Too fun! Hi Holly! I enjoyed looking at all the photos of monkeys. Aren’t they interesting animals? I liked your excerpt from Crooked Lines. I definitely would keep reading. I want to learn more about Sagai. Checked out your blog and subscribed. Very nice post about the icelandic sheep! Thanks for visiting my blog. I love monkeys, apes, gorillas, chimpanzees. I know they are similiar but very different. I think they are all neat creations. Nice blog post. I enjoyed your sample writing as well. i love the pictures. 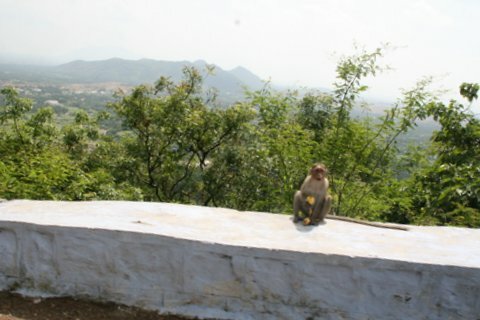 i wonder what those monkeys think of all the passersby. 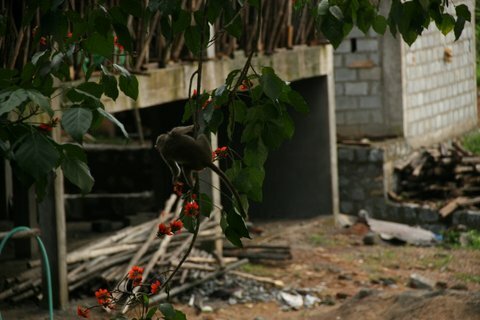 We really appreciate the nice photographs of monkey. This shows good tips for photography.